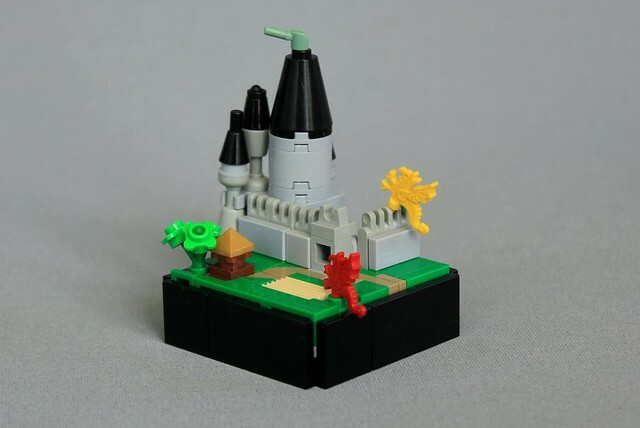 How many of you have those dragon-shaped minifigure helmet plumes? Well, have you ever thought of using them as a tiny dragon attacking a castle or village? Neither have I! This tiny medieval layout that is only a mere 6x6 studs (plus SNOT border) is being attacked by two terrifying dragons. The design of this creation may be simple, but the plumes are such an excellent idea brought to us by Jsnyder002!